In the five years since I first learned of Cushing's, I have noticed many discussions among Cushies about their buffalo hump. Folks just discovering Cushing's are particularly fixated with this discovery. Who ever knew that an innocent deposit of fat could be a cause of such scorn, concern and distress? 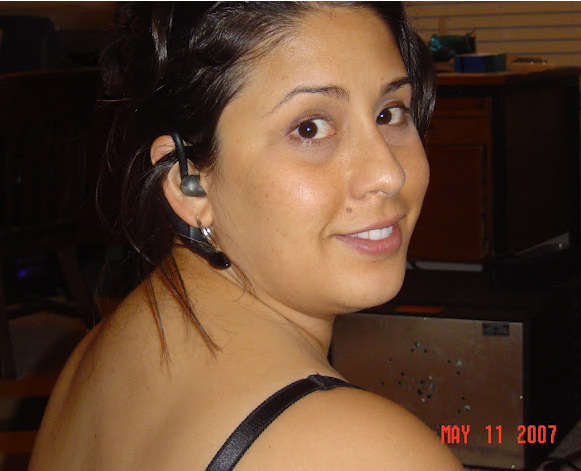 I wrote about my self-guided path to diagnosis back in 2008. Today, I realized I haven't mentioned much about the buffalo hump since that post. I now realize I have been remiss in not giving the buffalo hump the exposure it necessitates. The people want to know! 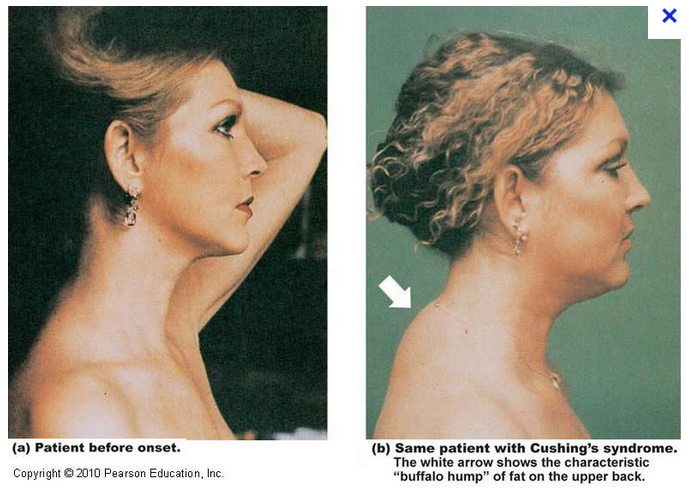 The buffalo hump -- listed among other many Cushing's symptoms -- was my a-ha symptom. Not only did I experience nearly all of the symptoms on the list, I knew when I read the words "buffalo hump" that this was it. I just knew this is what I had. Here is my buffalo hump. Copyright. Cushing's with Moxie. No reproduction without sourcing. I searched the internet to see what else could cause a buffalo hump. Kyphosis (this is so easy to distinguish from a buffalo hump that I can't believe it made this list. 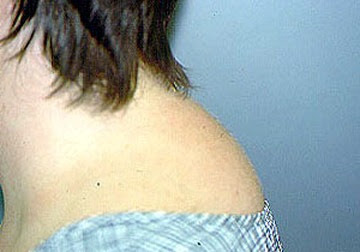 Kyphosis affects vertebrae between the shoulder blades and mid back, while a buffalo hump begins four inches below the hairline along the neck where the tops of the right shoulder and left shoulder meet in the middle. NOTE: I measured my buffalo hump this way: hold up your right hand and tuck away your thumb. Place your four fingers sideways on your neck, with your pinkie touching the bottom of your hairline. My index finger touches the top of my buffalo hump. I looked up all the unfamiliar terms, and I knew they didn't apply. It could only be Cushing's. My hump and me on a good day. We have a roller coaster relationship.Copyright. Cushing's with Moxie. No reproduction without sourcing. 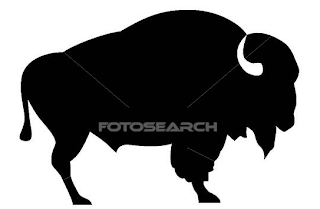 So, to give my buffalo hump the credit it is due, I will share what I have learned about them over the years. 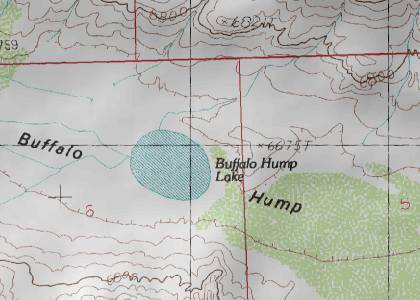 Q: Is this a really a buffalo hump? A: If a person is asking about a buffalo hump, it is usually a buffalo hump. Small or large, it is a hump. 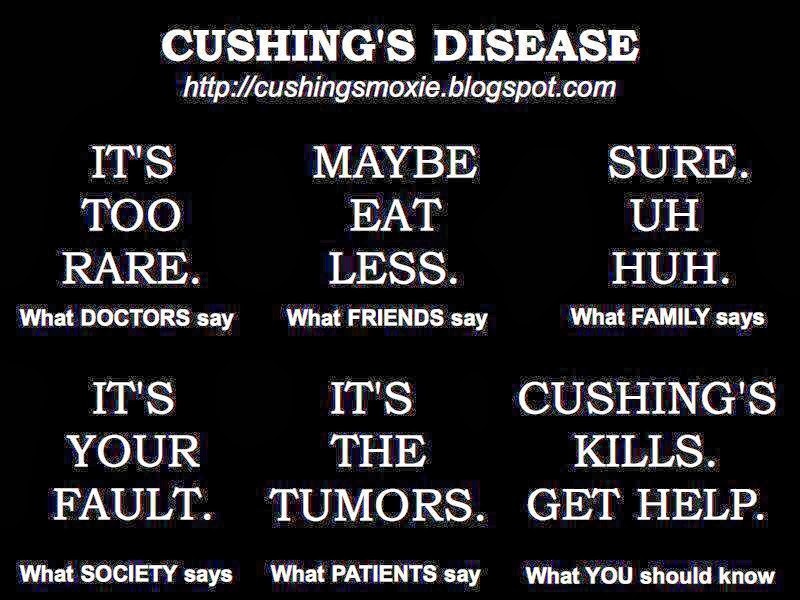 Accept this odd symptom especially when a patient has many other symptoms of Cushing's. Q: My doc says my hump is from obesity, but it looks like humps from diagnosed Cushies. A: Your doctor probably means well, but s/he hasn't seen as many Cushies as we have in the online community. 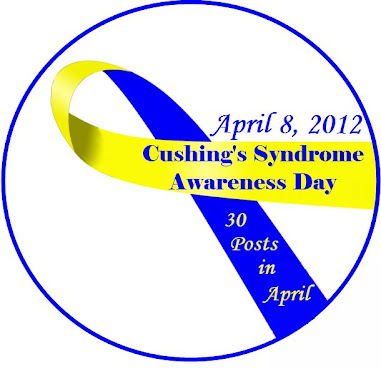 In the past 60 months studying Cushing's and seeing my Cushie friends as real-time case studies, I have seen hundreds of patients think they have Cushing's, get knocked around in the diagnosis phase, only to have biochemically proven Cushing's with multiple tests (urine, saliva, blood) and/or ACTH-stained pathology from tumor(s) removed in pituitary surgery. Q: My hump hurts. Does yours? A: Yes, mine kills me! My buffalo hump pulls at my neck making it hard to hold upright some days. I have spent hundreds of visits over the past 15 years at multiple chiropractors always looking for relief from the buffalo hump pain. It never goes away, but sometimes I get relief for a few days. Oh, how much money I must have spent in copays at the chiropractor! I missed many days of work because this thing. I would wake up and couldn't move my neck. I couldn't lift my head off the pillow and would have to roll over onto my stomach to then push myself up off the bed just to get myself upright. It was not pretty. Even today, I experience so much pain from this thing. I feel a tension running from my neck down my right shoulder and no amount of heat/ ice combinations or stretching will ameliorate the pain. Typically, I have to take pain medication and lie down in order for relief to find me. Also, my buffalo hump gets hard and soft! It is so strange! When the hump feels hard, it is usually causing me some pain. When it is softer, sometimes I can press down and feel like I am not pressing on bone. It feels looser or softer. I remember teling a Cushing's specialist about this, and he said, "I hear that all the time, but we don't know what causes the pain in a fatty hump or what makes it go up or down." Hmmphh. Neither do the patients! Q: Will it go away after pituitary surgery or when I am cured? A: Unknown. Some say yes, some say no. My presumption is to make sure your cortisol normalizes before really thinking you are gonna see any change. That may take years after surgery (-ies). Q: My doc says it's a dowagers hump. My mom says it is poor posture. Could this thing really be a buffalo hump? A: They are wrong. A buffalo hump and kyphosis bump are located in different places on the spine. See discussion on kyphosis above the photo. Also, when I take my side profile photos, I stand up super tall, shoulders back, head straight up as if a string is pulling my head up through the ceiling. Guess what? I still have a hump. It is not poor posture. Q: What do you do to hide your buffalo hump? A. To be honest, I don't hide my hump. I can hardly drag myself out of bed or make it to the shower daily. I have to focus on the big stuff, and for me, vanity flew out the window about 100 pounds ago. I saw this photo comparison for the first time this week. You can also see fat in the patient's neck and cheeks. Buffalo Hump Lake is located in south central Wyoming.